Step back in time as you sit with the driver and experience travelling on Queensland’s remarkable railway network of yesteryear. This series explores the Queensland Railways from the drivers’ perspective as you travel with them on suburban and long distance passenger, freight and mineral trains. 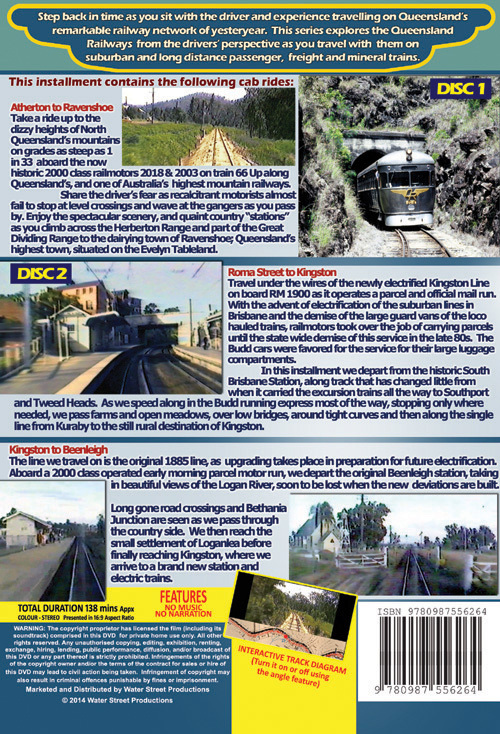 Take a ride up to the dizzy heights of North Queensland’s mountains on grades as steep as 1 in 33 aboard the now historic 2000 class railmotors 2018 & 2003 on train 66 Up along Queensland’s, and one of Australia’s highest mountain railways. Share the driver’s fear as recalcitrant motorists almost fail to stop at level crossings and wave at the gangers as you pass by. Enjoy the spectacular scenery, and quaint country “stations” as you climb across the Herberton Range and part of the Great Dividing Range to the dairying town of Ravenshoe; Queensland’s highest town, situated on the Evelyn Tableland. Travel under the wires of the newly electrified Kingston Line on board RM 1900 as it operates a parcel and official mail run. 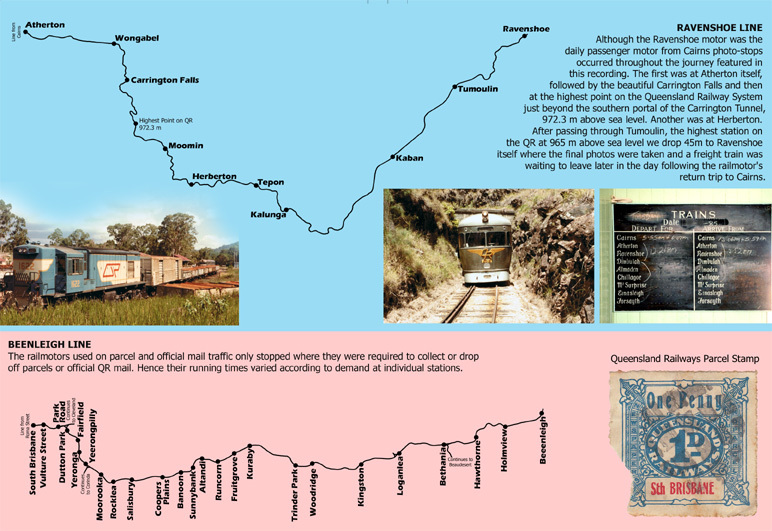 With the advent of electrification of the suburban lines in Brisbane and the demise of the large guard vans of the loco hauled trains, railmotors took over the job of carrying parcels until the state wide demise of this service in the late 80s. The Budd cars were favored for the service for their large luggage compartments. In this installment we depart from the historic South Brisbane Station, along track that has changed little from when it carried the excursion trains all the way to Southport and Tweed Heads. As we speed along in the Budd running express most of the way, stopping only where needed, we pass farms and open meadows, over low bridges, around tight curves and then along the single line from Kuraby to the still rural destination of Kingston. The line we travel on is the original 1885 line, as upgrading takes place in preparation for future electrification. Aboard a 2000 class operated early morning parcel motor run, we depart the original Beenleigh station, taking in beautiful views of the Logan River, soon to be lost when the new deviations are built. Long gone road crossings and Bethania Junction are seen as we pass through the country side. We then reach the small settlement of Loganlea before finally reaching Kingston, where we arrive to a brand new station and electric trains. FEATURES No music - No Narration. 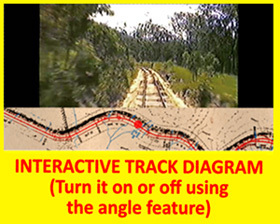 INTERACTIVE TRACK DIAGRAM (Turn it on or off using the angle feature)!